Creditors Rights And Remedies | Schlueter, Mahoney & Ross, P.C. 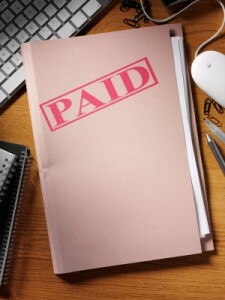 Debt recovery is an unfortunate, but sometimes necessary, aspect of doing business. Bankruptcies and defaults can often result in the loss of assets or income to creditors and you may be wondering what recourse you have. Recovering the debts owed to you is your right and can be made easier with proper legal support. Creditors have several protections that can be utilized to help them recover their losses due to the failure of a debtor to repay their debt. An experienced creditor’s rights and remedies attorney can help guide you through the debt collection process and ensure your rights are protected. No matter what your debt recovery issue, the attorneys at Schlueter, Mahoney & Ross P.C. will explore your legal options and advise you on an appropriate course of action. We pride ourselves on our small firm size and our close-knit client relationships. You can be assured that your lawyer will always be available when you need him or her and will handle your case efficiently and effectively. While we are highly effective at reaching settlements out of court, we are also well-qualified to take a case to trial and advocate for your rights in front of a judge or jury.